The main assets of the area are the diverse wetland habitats, and the Endla mire complex and springs. 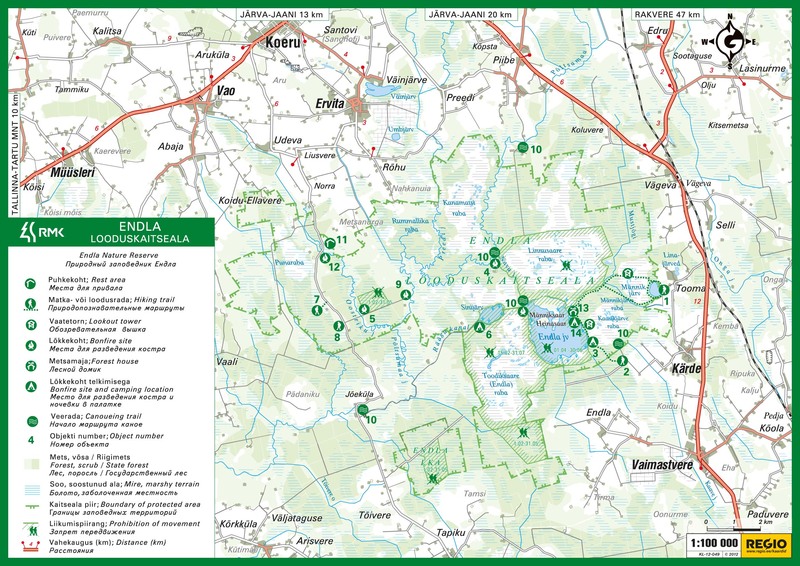 Endla Nature Reserve is located in Central Estonia, in the middle course of the Põltsamaa (Piibe) River, near the border of Järva, Jõgeva and Lääne-Viru counties. Endla Nature Reserve was established in 1985. It covers a 10161 hectare area in the well-preserved central part of the Endla mire complex. Since 1997 the nature reserve belongs to the Ramsar sites – wetlands of international importance and since 2004 to the EU Natura network of protected areas. Attractions Scenic bogs, lakes, reed areas, springs, rivers, meadows and various plants and animals. Visitor restrictions For further information on restrictions click here.